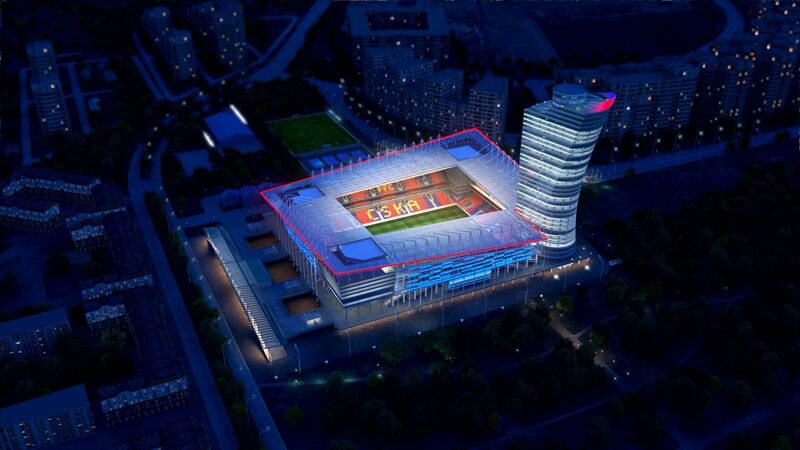 New stadium for CSKA Moskva was designed in 2006 to replace the old one in north-western Moscow. 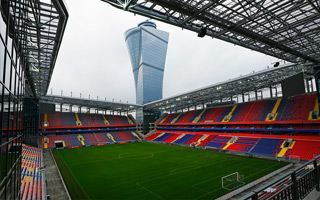 This was just after CSKA won their first European trophy, the UEFA Cup. 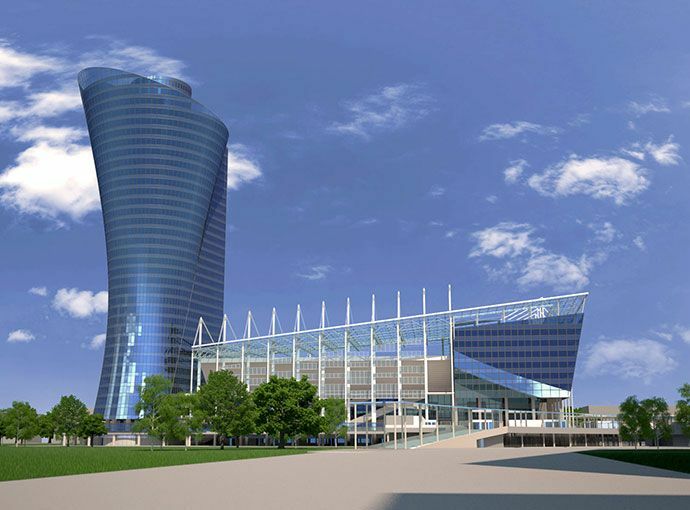 To celebrate the success, a skyscraper was designed in the south-western corner of the stadium, shaped after the UEFA Cup. 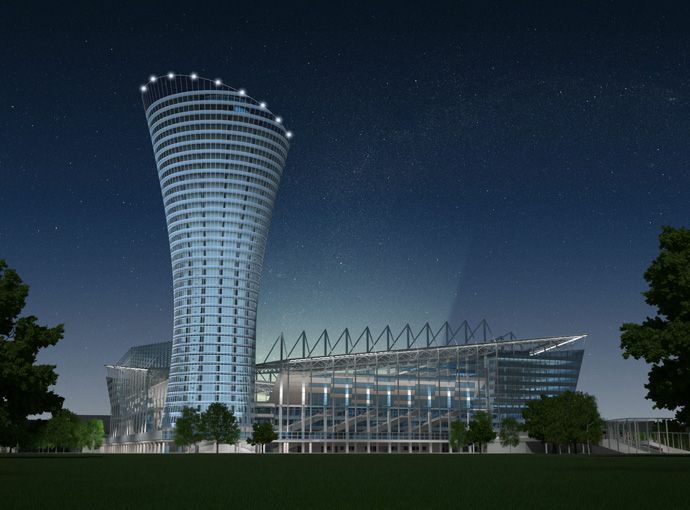 After several alterations its form stopped at 142 meters in height (38 floors, some 20,000 square meters). This wasn’t the only interesting idea. 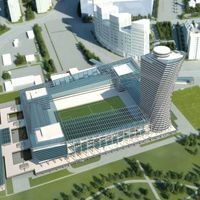 Two other corners were equipped with office buildings (south-east and north-west), except these are hidden within the stadium’s outer shape (7,500 sqm each). 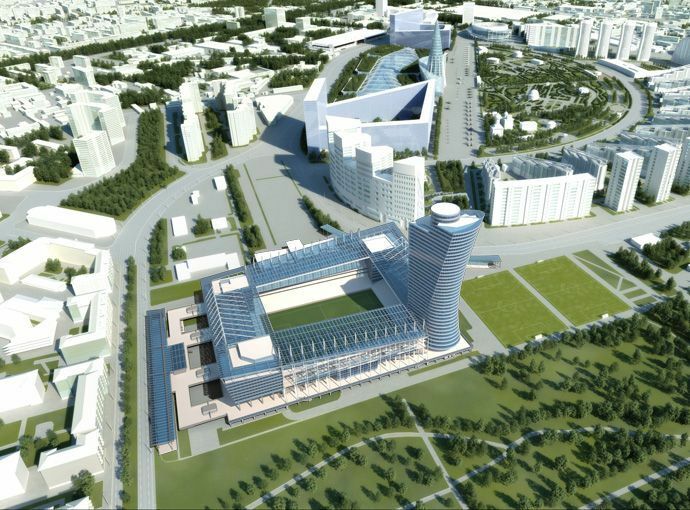 Fourth corner (north-east) will be home to a 48-room hotel. 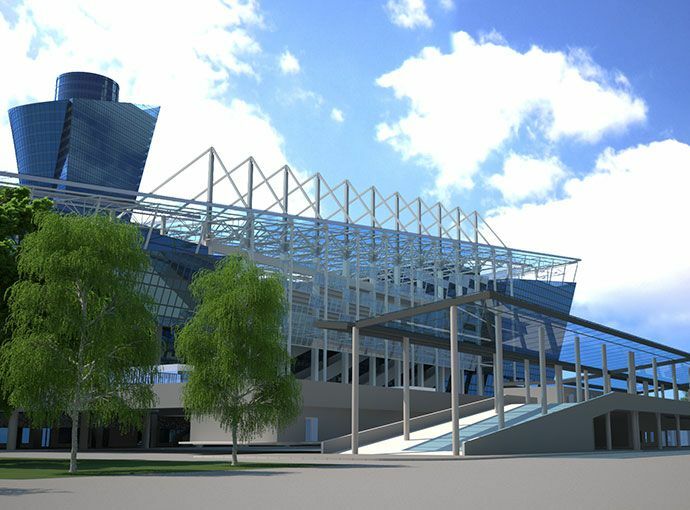 All of the stadium will be covered with a smoothly bent roof. 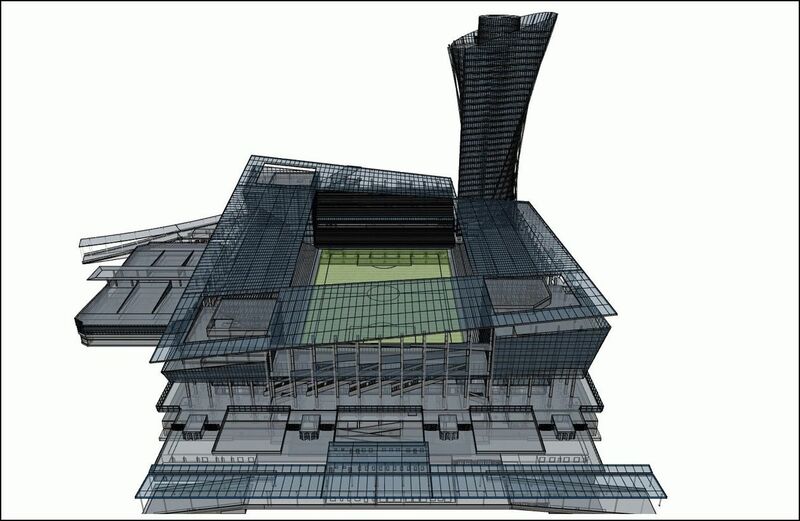 The seating bowl, as a result, was divided into four individual stands, each with two tiers. 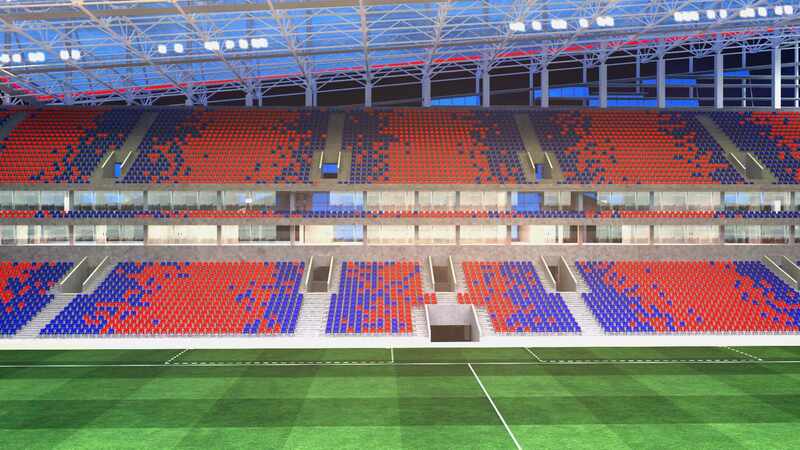 The lower tier accommodates 12,500 people throughout the stadium, upper one 14,500. 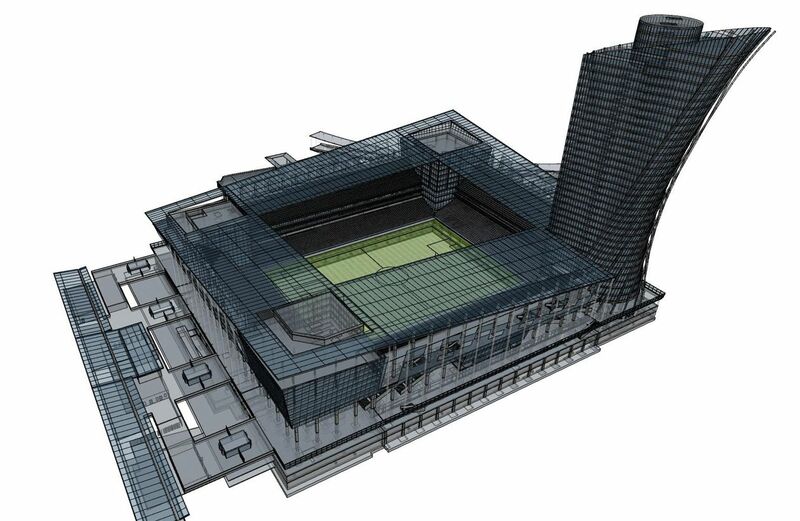 Between the tiers there’s room for 106 skyboxes (12-18 people), which allow the building to reach overall capacity of 30,000. 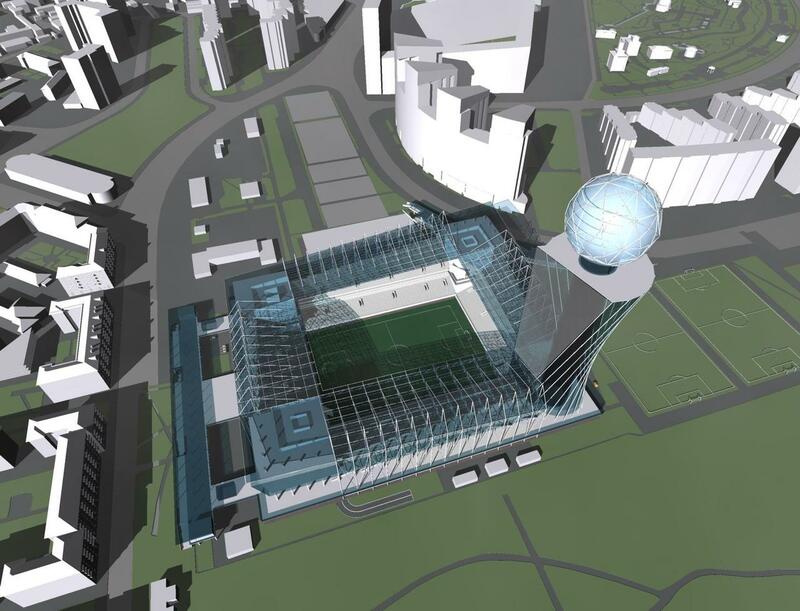 In terms of floor space, the sports part is significantly lower than the office part (78,000 sqm out of 171 700 sqm). 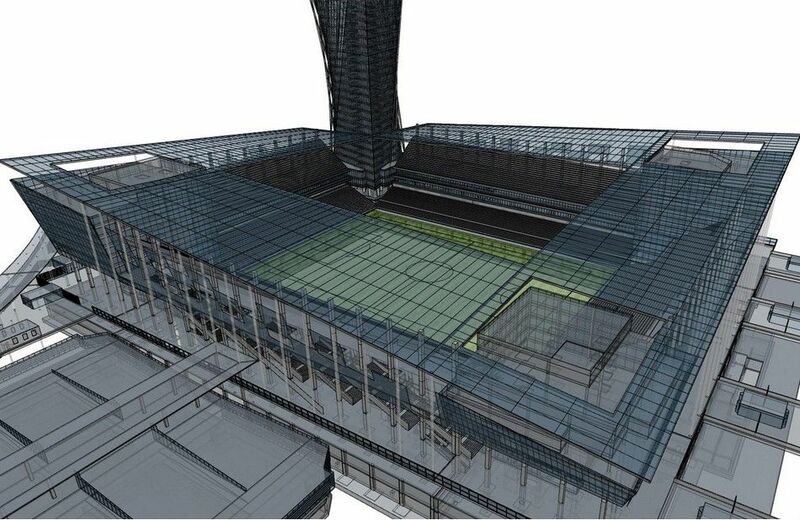 Also included in the building are parking spaces, total of 1,400 in both the underground part of the stadium and a separate multi-floor parking building. 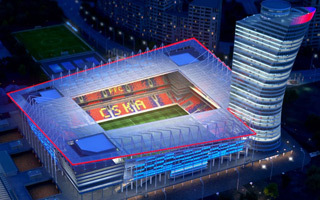 On weekdays the parking will serve up to 3,300 employees of the commercial part, while on matchdays it’s for CSKA fans. 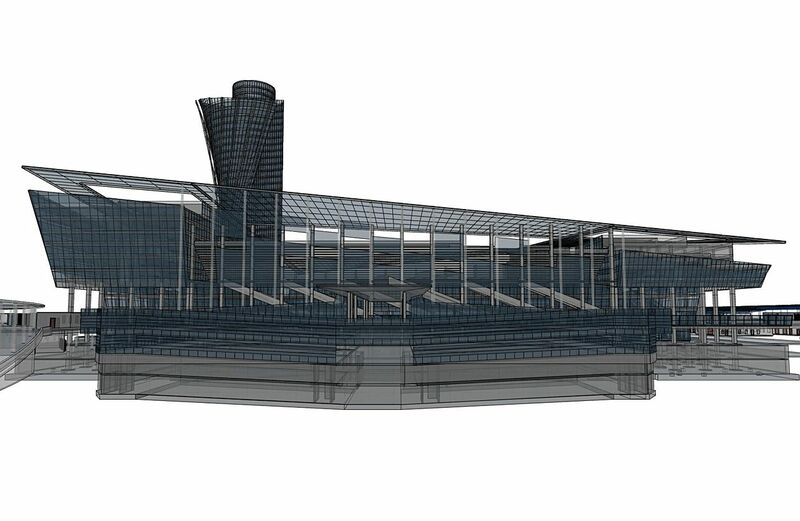 Most of them should, however, use the subway, because there are two stations within walking distance. 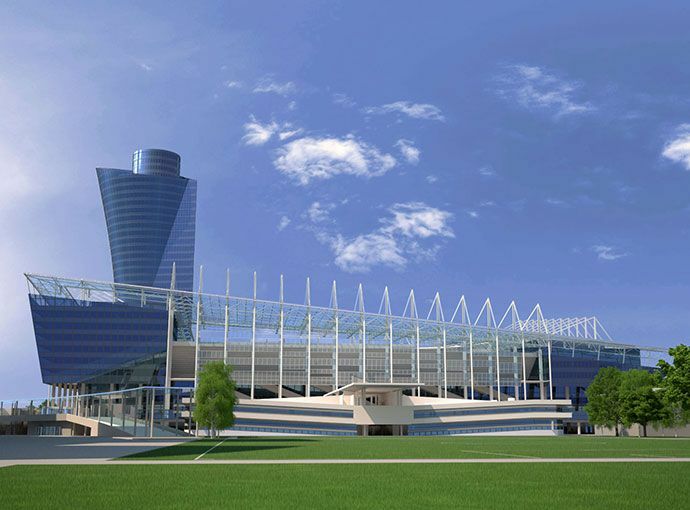 Construction began in late 2007 and was initially expected to end in 2009/2010. This soon proved unrealistic as legal reasons caused works to stop on several occasions. 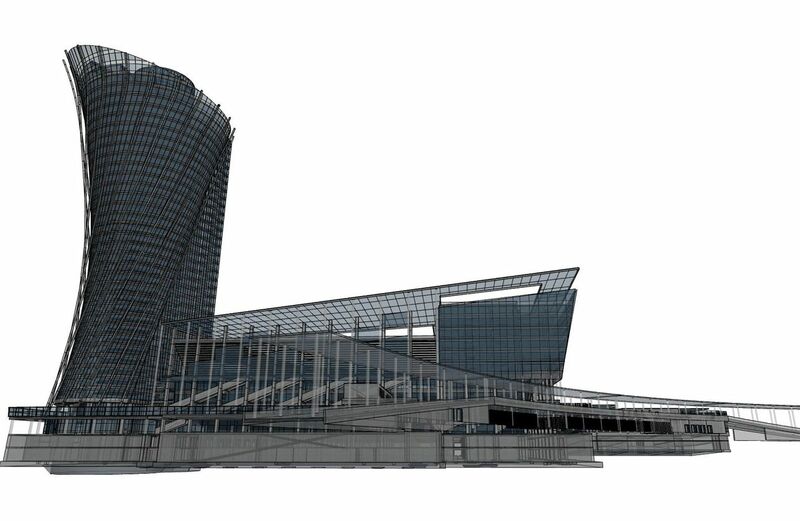 Eventually opening is planned in 2016. 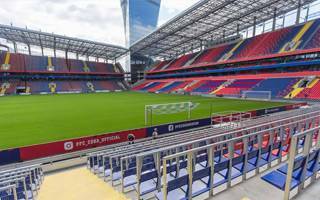 06.10.2016 Moscow: Only 10 years to pay off Arena CSKA? 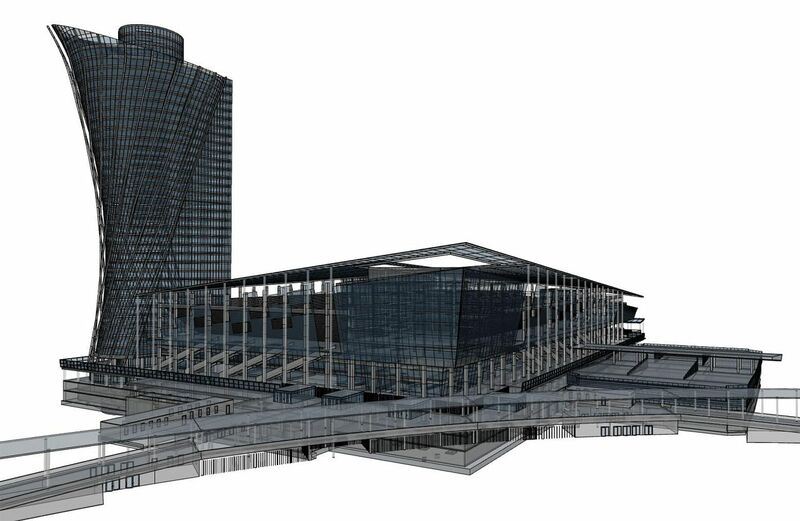 Handed over, now officially approved for use. 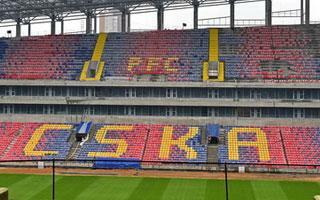 With a brand new name, CSKA Arena is now inviting people to its ticket offices as season ticket sale begins. 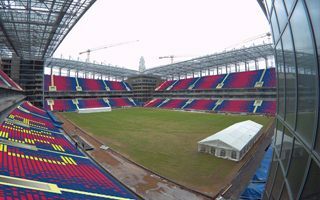 30.07.2016 Moscow: CSKA stadium finally ready! 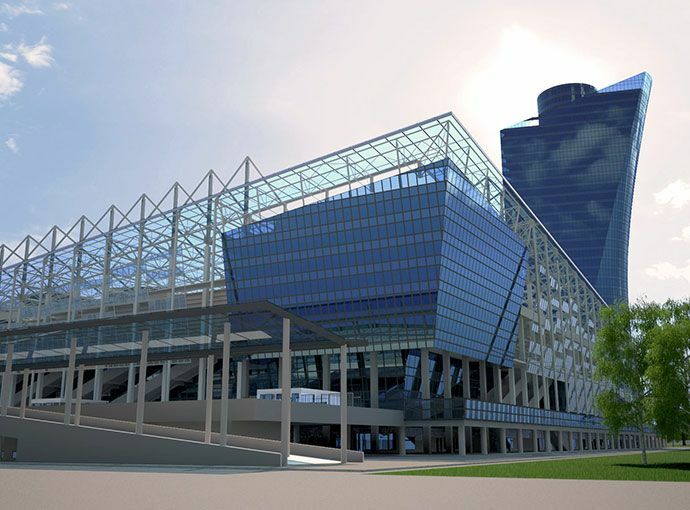 After almost a decade of troubled construction, it’s ready. 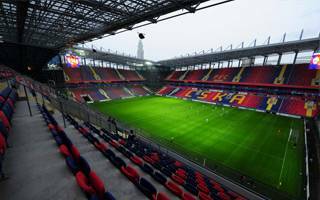 Not able to welcome fans just yet, but within weeks the CSKA Moscow stadium will host its first events. 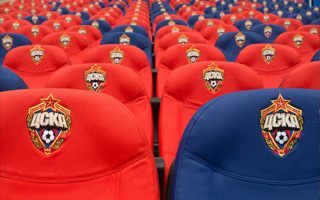 After years of exile, CSKA Moscow were to return home in style, starting with Russian Supercup game against Zenit. 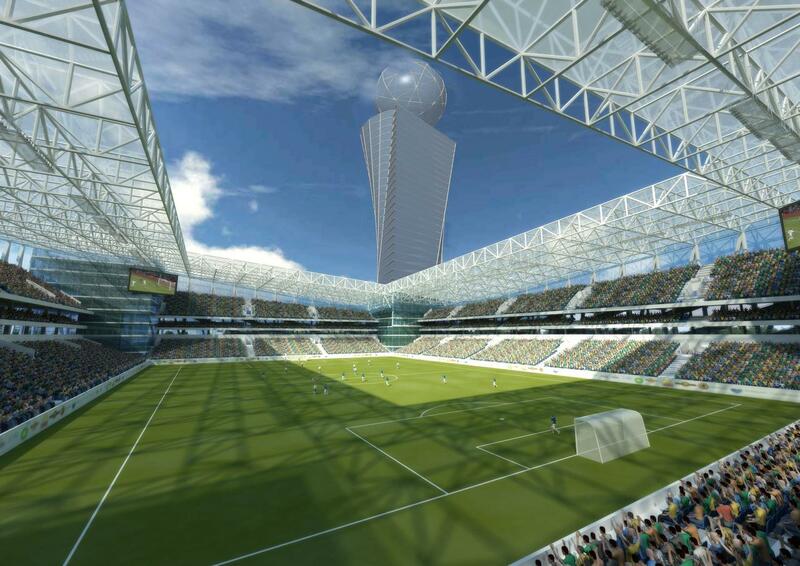 Not any more, the stadium is delayed. Some irony there! 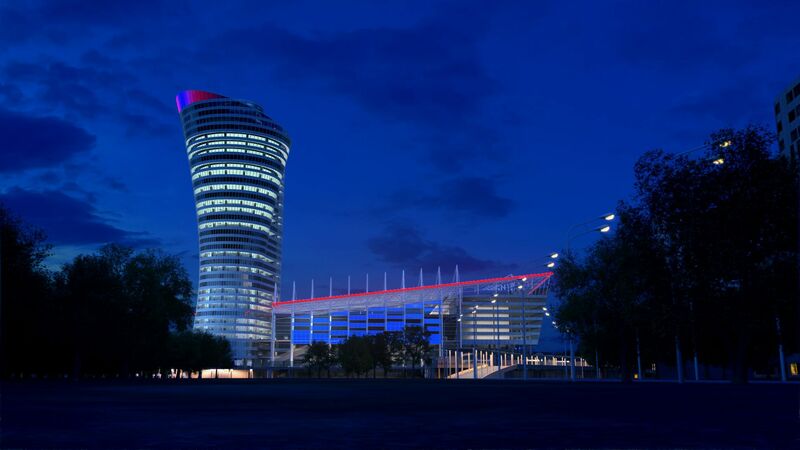 Furnishings, installations and landscaping – it’s only the light works left at CSKA Moscow’s new stadium. 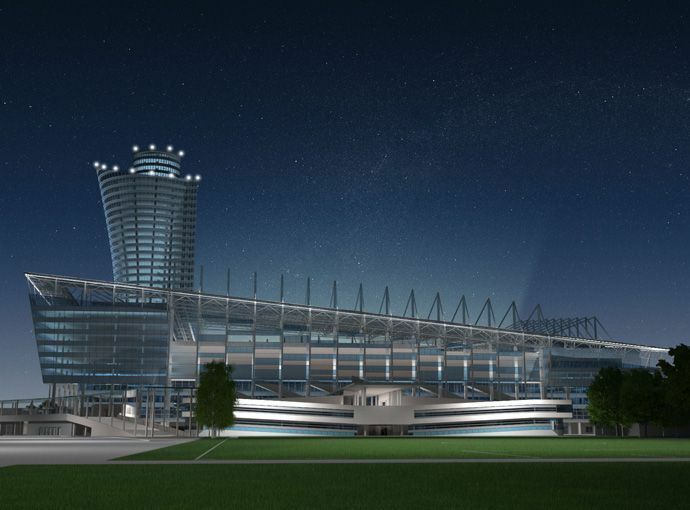 With 30,000 capacity, the stadium will be open for Premier Liga’s 2016/17 season. 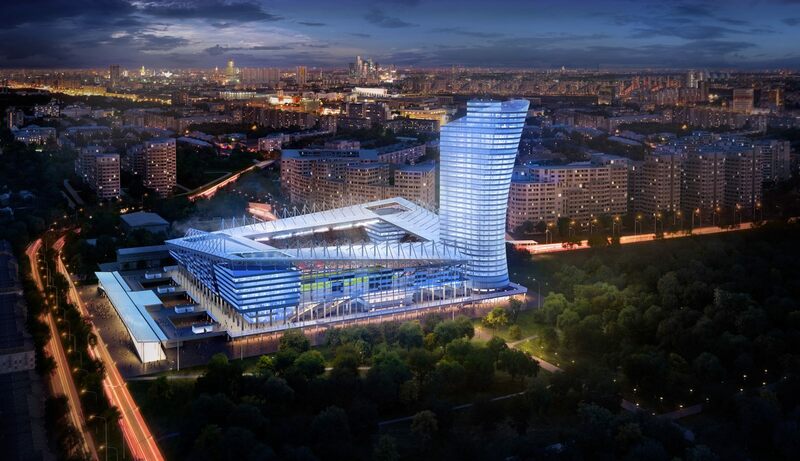 12.07.2015 Moscow: CSKA stadium in half a year? 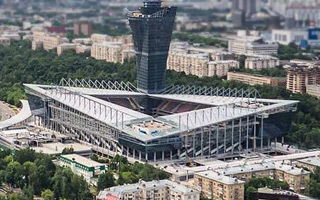 By year end bulk of all works is to be completed in northern Moscow. 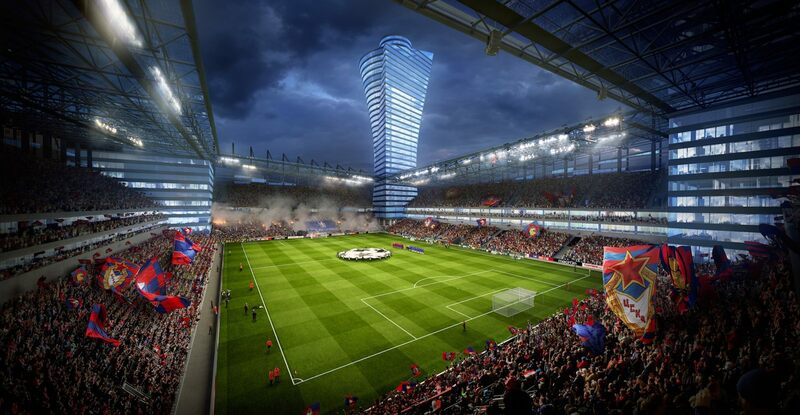 Last tasks will be carried out in early 2016 and CSKA will be able to end their season at the long-awaited home. 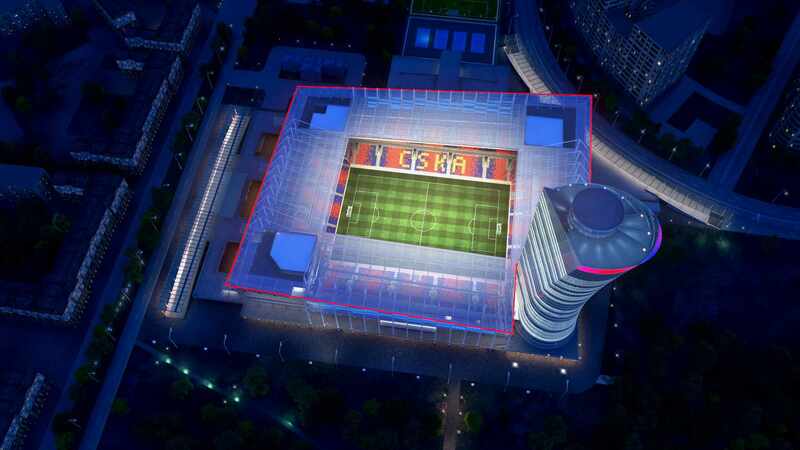 21.01.2014 Moscow: CSKA Stadium ready by year end? 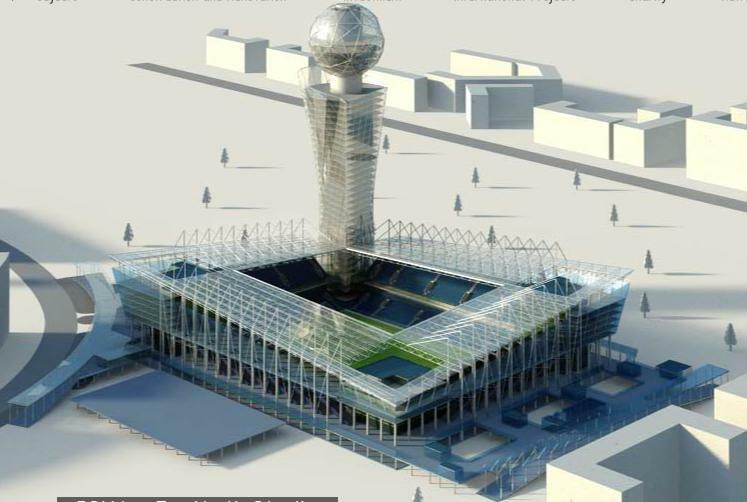 Interesting declaration comes from Yevgeni Giner, owner of CSKA Moskva. 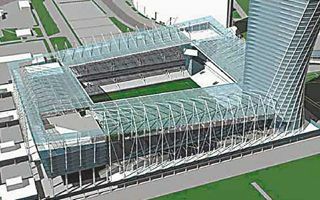 The billionaire announced new stadium should be ready in early 2015 at the latest, though work on one end is yet to begin.